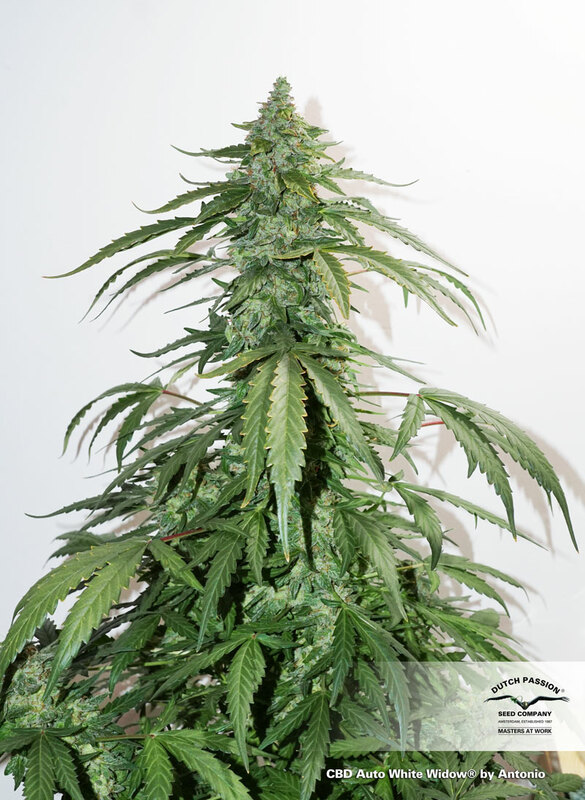 CBD Auto White Widow uses the original Dutch Passion Auto White Widow crossed with CBD Sweet and Sour Widow by The CBD Crew to create a CBD rich variety. Ratio of CBD:THC is between 1:1 and 4:1. Usually the CBD is present in greater quantities than THC. CBD Auto White Widow may be useful for medical growers looking for a CBD-rich variety which is easy to grow and delivers stronger-than-average medical effects. Its easy to grow under 20 hours of daily light, and can be harvested around 9-10 weeks after germination with yields that are above average. Powerful medical relief.